Visit Monmouth Pain & Rehabilitation and Quit Smoking with Acupuncture in Shrewsbury, Freehold, Wall, & Lacey NJ! At Monmouth Pain & Rehabilitation, we can provide acupuncture treatments to help quit smoking. These treatments focus on helping eliminate jitters, cravings, irritability, and restlessness while providing relaxation and detoxification. Acupuncture is effective in making it easier to quit and remain smoke-free for good. Let Acupuncture help you Quit Smoking Naturally. Acupuncture is successful with smoking cessation and has turned a growing number of cigarette smokers into non-smokers. Our team has a program designed to help individuals quit smoking with acupuncture in just a very short period of time. Our treatments take all of your symptoms into account and aim at balancing the energy within the body to optimize health. The acupuncture treatments focus on jitters, cravings, irritability and restlessness; all symptoms that people commonly complain about when they quit smoking. The Quit Smoking Now Program at Monmouth Pain & Rehabilitation recommends that smokers go ‘cold turkey’ after the first acupuncture session. This smoking cessation plan usually includes five treatments over a period of two to three weeks, but each smoker’s plan is customized to fit individual needs. Although not common, we have had patients lose their craving to smoke after just one treatment. Most of our Monmouth County patients need a program of several treatments to help them quit smoking naturally with acupuncture. Acupuncture is not a magic cure in the treatment of any addiction, including smoking. Please contact Monmouth Pain & Rehabilitation now for a complimentary consultation to determine whether you are a candidate for the Quit Smoking Now Program in our Shrewsbury, Freehold, Wall, & Lacey offices. Why is it so difficult to give up this unhealthy habit? Nicotine is an extremely addictive substance that causes pleasurable sensations. Nicotine also has relaxing, depressant qualities because it interferes with the flow of information between nerve cells. All of these effects happen quickly, too; cigarette smoke reaches the brain even faster than drugs that enter the body intravenously. Eventually, smokers develop a tolerance to nicotine and require more of the drug to get the same effect once produced by smaller amounts. Smoking cessation can lead to withdrawal symptoms that are extremely unpleasant. Starting within a few hours of smoking a final cigarette, the withdrawal process peaks about two to three days later, when the majority of the nicotine has left the body. The process continues for at least another few days but can last up to several weeks. Withdrawal symptoms include anxiety; irritability; sleep disturbance; increased appetite and weight gain; cough and sore throat; restlessness; and trouble concentrating (among others). This experience is enough to drive many well-intentioned quitters back to smoking. Withdrawal symptoms are the main reason that most people fail to quit smoking. It is an intuitive decision, then, to find the best possible treatment to lessen the unpleasantness of smoking cessation. 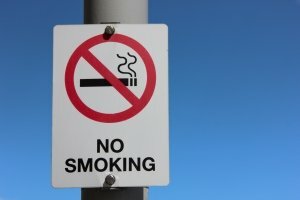 Monmouth Pain & Rehabilitation offers the Quit Smoking Now Program available in Shrewsbury, Freehold, Wall, & Lacey NJ. 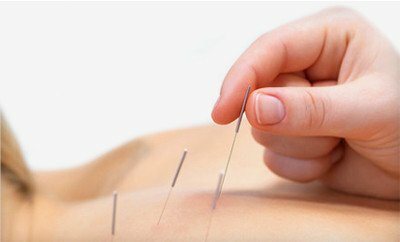 This unique program includes acupuncture and has a success rate of approximately 75%. In contrast, smokers who used a combination of counseling and the drug Bupropion (Wellbutrin) had a success rate of only 30.5%. Even worse, just 7% of people who used the nicotene patch or gum were successful after six months. Acupuncture helps quitters avoid the irritability, restlessness, and headaches that accompany the cessation process. It also helps the body return to a more natural balance by speeding up the detoxification process. The reasons are endless, the Centers for Disease Control and Prevention (CDC) estimates that adult male smokers lost an average of 13.2 years of life and female smokers lost 14.5 years because of smoking. Cancer: It is common knowledge that smoking can cause lung cancer. Most cases of lung cancer (close to 90% in men, and 80% in women) are caused by cigarette smoking. However, smoking is also a risk factor for cancer of the mouth, voice box, throat, esophagus, bladder, kidney, pancreas, cervix, and stomach. Heart attacks, blood vessel diseases, and stroke: Smokers are twice as likely to die from a heart attack, and are at an increased risk for peripheral vascular disease (a narrowing of the blood vessels that carry blood to the leg and arm muscles). Smoking also affects the walls of the blood vessels that deliver blood to the brain, which can lead to stroke. Lung diseases: Smoking increases the risk of lung diseases such as emphysema and chronic bronchitis. This group of illnesses falls under the umbrella of the term COPD, or chronic obstructive pulmonary disease, which causes chronic illness and disability and can be fatal. Blindness and other problems: Smokers put themselves at a greater risk for macular degeneration, a common cause of blindness in older people. Smoking also has a number of unattractive side affects such as premature skin wrinkling, bad breath, tooth and gum problems, yellow fingernails, and a general unpleasant smell that becomes attached to clothing and hair. Nicotine addiction alienates its victims by separating them from the (non-smoking) majority in order to smoke and by causing these unappealing qualities.